While appearing simple and utilitarian, the timeless style of a vintage Colonial Metal Chandelier fits almost any setting. Furthermore since we offer such a wide range of sizes and styles the versatility allows you to coordinate with your decor. 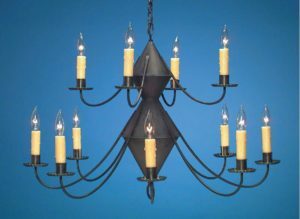 Whether you are decorating a classic Williamsburg, Early American Colonial, Cape Cod Style Cottage, New England Farmhouse,or Log Home we offer the ideal antique tin or brass chandelier. As a result from kitchens and family rooms to bedrooms and hallways our rustic Colonial Metal Chandelier make a perfect decorating accessory for any home .Finally our Colonial primitive chandeliers combine beauty and function to create the perfect look for you. 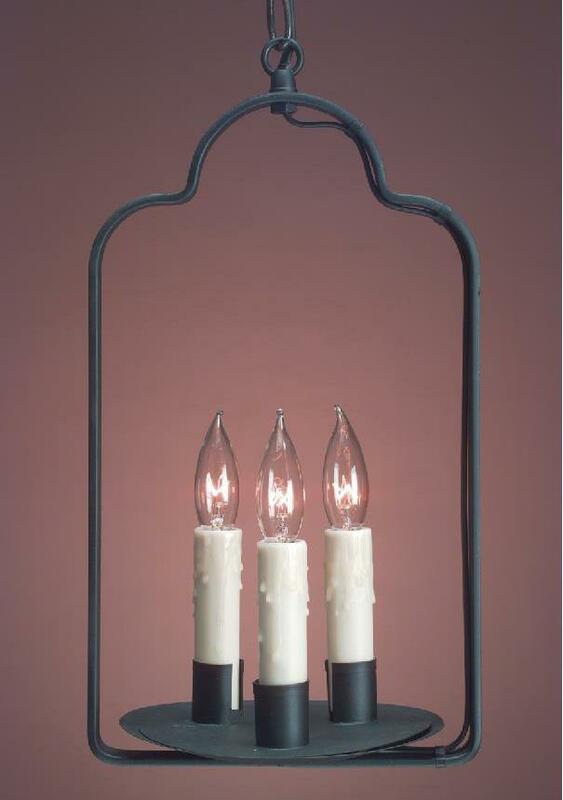 Tavern Lights were a popular style in the earliest settlements. Their simple design and durable construction made them dependable light sources in busy, often raucous environments. Over time, their use blossomed in taverns and inns across America. Evident in the photo here they still remain a popular choice for such venues, as shown in the “Liberty Tavern” in Powell Ohio. Today the timeless look of Tavern Light chandelier fits perfectly in many areas of the home as well, such as kitchens, hallways, or bathrooms.